If you search Google for family foundation impact investing one of the first results you’ll get is a link to the Russell Family Foundation web page. And for good reason. This foundation took a big risk in 2004, piloting an impact investing program of $1 million to see what would come of this (at the time) relatively new approach. 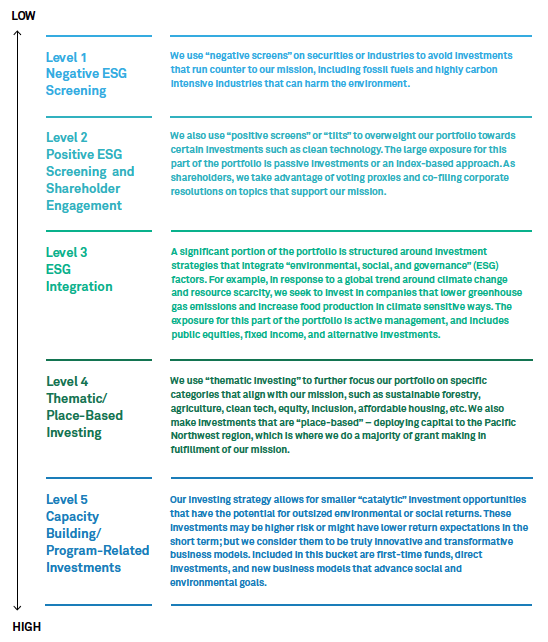 Socially responsible investing, part of the impact investing spectrum, has been in practice for decades, really taking off in the United States at the height of the Vietnam War with the push for university endowments to divest from defense contractors. Conferences like SOCAP and sustainable calls-to-action from high-profile funds have pushed the impact investing wave to new heights in recent years. By 2020 the market is expected to be worth more than $300 billion. In a previous blog we explored the role that impact investors can play in bringing more foundations into this market, why foundations have been hesitant to do so, and how that can begin to change. 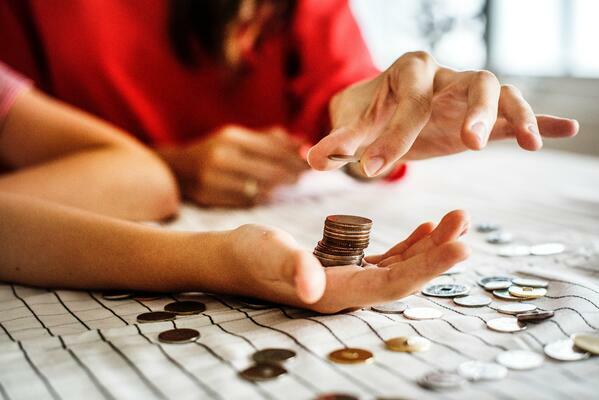 To complement the topics discussed in that article, we’ll now take a look at an intriguing case study -- that of the previously mentioned Russell Family Foundation, which took the lead more than 10 years ago to test out this impact investing idea. It was a risk that opened new doors for the Foundation, and inspired other foundations to eventually follow suit. The Russell Family Foundation focuses on community empowerment and environmental initiatives in the Puget Sound area, and has been doing so since it was founded in 1999 by George and Jane Russell. This was a self-defined “learn-by-doing” leap into mission-aligned investing to test the hypothesis that their philanthropic goals could be better achieved by employing strategies other than just grant-making. The experiment could also lead them to more place-based investing opportunities, enabling them to put their capital into the Puget Sound community through direct investments in local projects or through other financial instruments like loan guarantees (see video below). There was a core philosophical unease behind this move as well, one that is probably not unique to the Russell Family Foundation. If you’re a philanthropic entity that works to promote environmental justice through grant-making while at the same time you invest in funds consisting of businesses whose operations are polluting or destroying the environment -- how much net impact is really being created? The Russell Family Foundation decided it was time to stop compromising and to see how far they could go aligning their decisions and activities with their conscientious ethos. The pioneer inevitably treads a bumpy path. While the Foundation had some struggles early on with some of its early investments, to their credit they studied those cases, learned from them, and leveraged those learnings to optimize their ongoing investment strategies. You can read the full narrative of their journey and learnings here, but these learnings are also summarized in the image below taken from the report. So where have these learnings and this journey taken them? They’ve gone from 7% to nearly 75% mission-aligned investments, worth about $100 million. They’ve divested $10 million from previously held investments that weren’t mission-aligned. And they continue to aspire towards 100% mission-aligned in the near future. What does this mean for other foundation impact investing? The Russell Family Foundation has given the foundation landscape in general valuable insight into the possibilities that impact investing can bring a foundation and the community it hopes to positively impact. 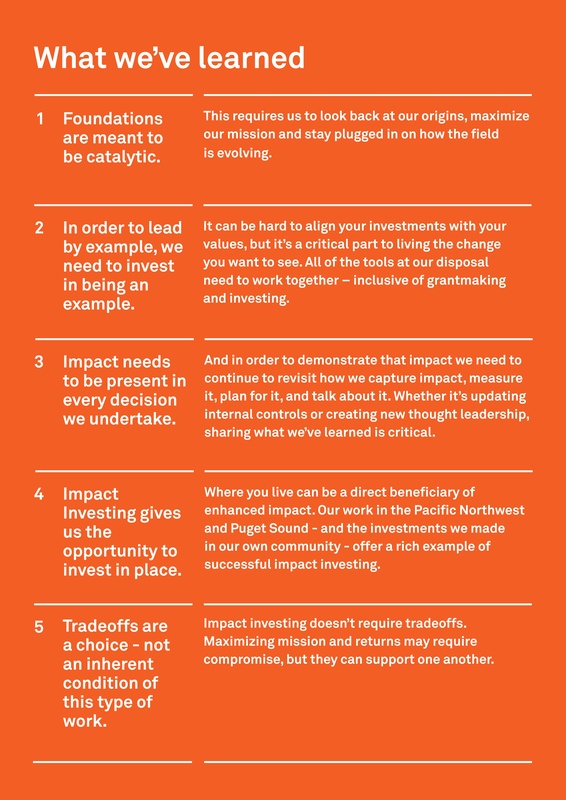 For example, their Impact Approach Spectrum (pictured above) represents a useful starting point for any foundation interested in beginning or continuing to seek mission-related investments as a way to achieve its strategic objectives. Of course, other tools exist to help foundations and their teams make mission-related investing more of a priority. For example, the Mission Investors Exchange offers investors and foundation leaders a community to connect and share resources, explore collaboration opportunities, and more. There is also the Impact Investing Guidebook for Foundations, a comprehensive guide put together by a number of Canadian-based organizations. Another key player is the Council on Foundations, which works both at a policy level to improve the regulatory environment and as a connector within the ecosystem, helping foundations access the resources they need to more deeply explore the opportunities impact investing can offer. For more technical expertise and to streamline the impact management necessary for mission-related investments, Sopact’s Impact Cloud can help get foundations and their partners to work more effectively and efficiently in managing the considerable data needs involved. In addition to the local community impact that the Russell Family Foundation has created through its own impact investing efforts, a broader ripple effect is now at hand. A wave of impact investing amongst family foundations may be the most impactful result of their experimentation. It’s a philanthropy meets capitalism equation, a unique union which may be exactly what the world needs right now to achieve impact that lasts and impact that scales.